.Net is a popular programming language that is used by several programmers world over. 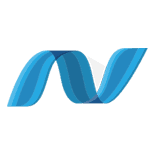 .NET is an object-oriented language which is highly secured and portable. There is immense scope in .Net Programming as many employers are hunting for .Net Programmers. Microsoft .NET is a very popular programming language that provides everything required to develop and deploy web service-based IT Architecture Development. Organizations are implementing .NET technologies and Web services to create connected businesses globally. Several job opportunities are available in .Net in top companies like Honeywell, Sony, GlaxoSmithKline, HCL, Capgemini, Tech Mahindra, JP Morgan Chase, Cognizant, Accenture, Wipro, Sapient, Technosoft global, etc. At TECHRADIX’s Diploma Programme in .Net, you will learn about Operating System, Programming Fundamentals, Object Oriented concepts, Software Engineering, Testing Fundamentals, EIM Fundamentals, SQL, Introduction to UML, Programming with C#, Programming with ADO.NET, Programming with ASP.NET, Introduction to Service-Oriented Architecture (SOA), WCF Enhancements. WHAT IS THE DURATION OF DOT NET PROGRAMME? Programming in HTML5 with Java Script and CSS3 70-480.